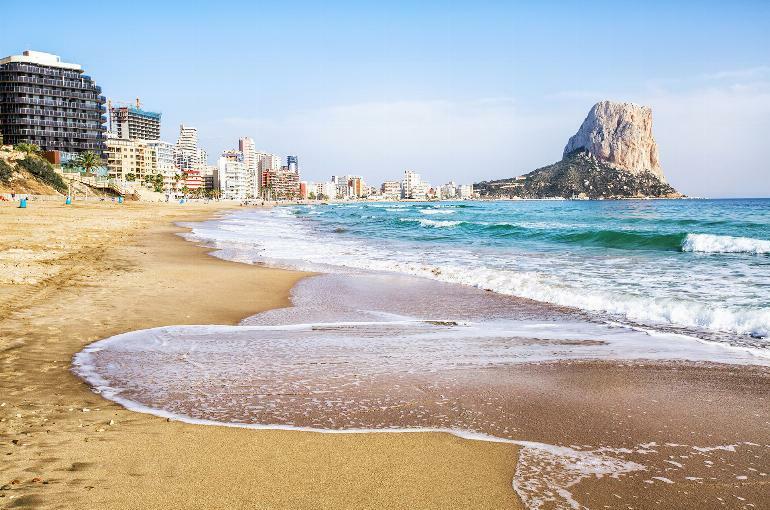 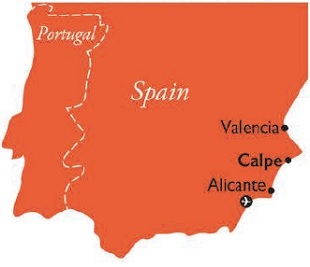 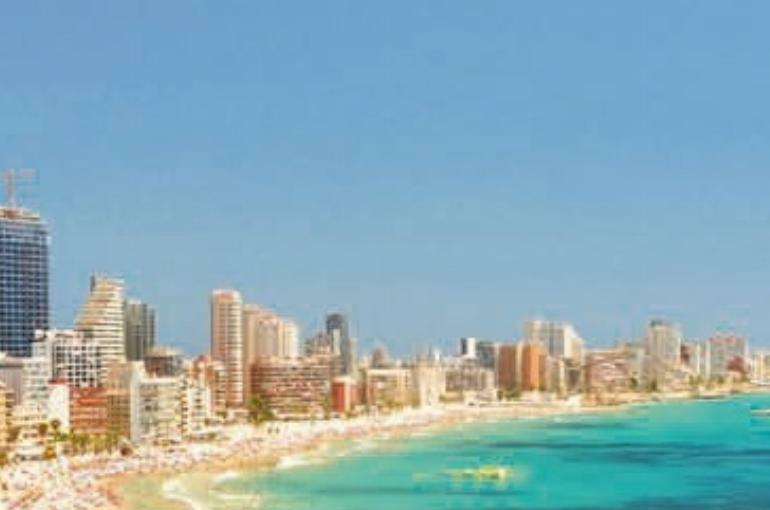 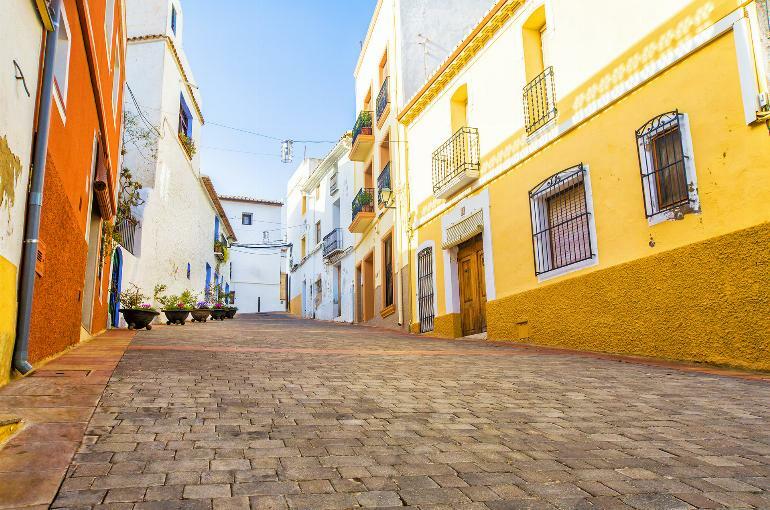 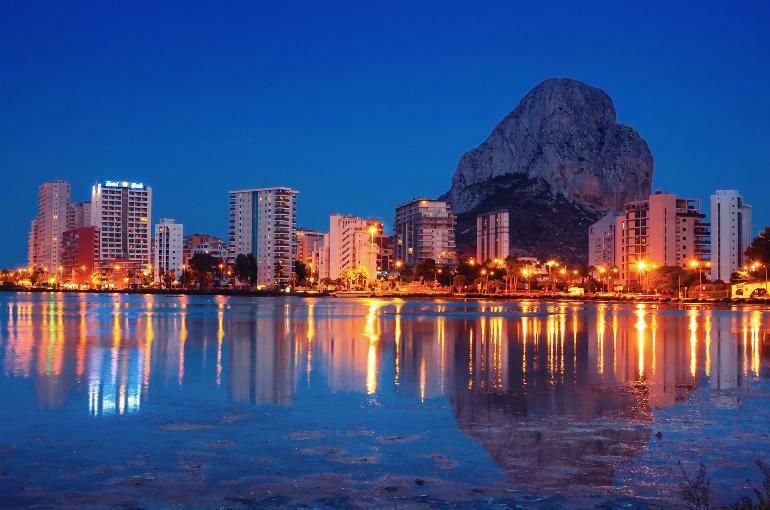 Located towards the northern end of Spain’s Costa Blanca, Calpe has, over the centuries, been occupied by Romans, Moors and Christians and is now a modern, bustling resort whilst retaining some old world charm in the ancient town centre and the old Moorish quarter. 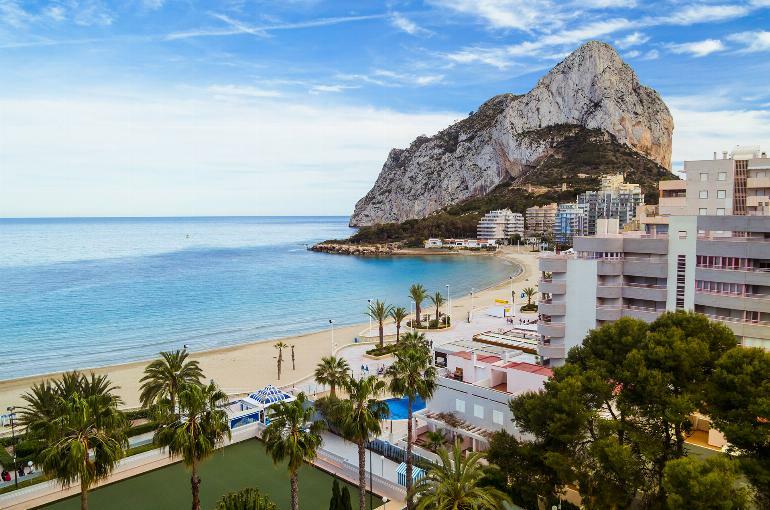 The resort boasts three sandy beaches and is overlooked by the towering Rock of Ifach, almost 1,000 feet in height and affording spectacular views of the resort, the coast and, on a clear day, the island of Ibiza. 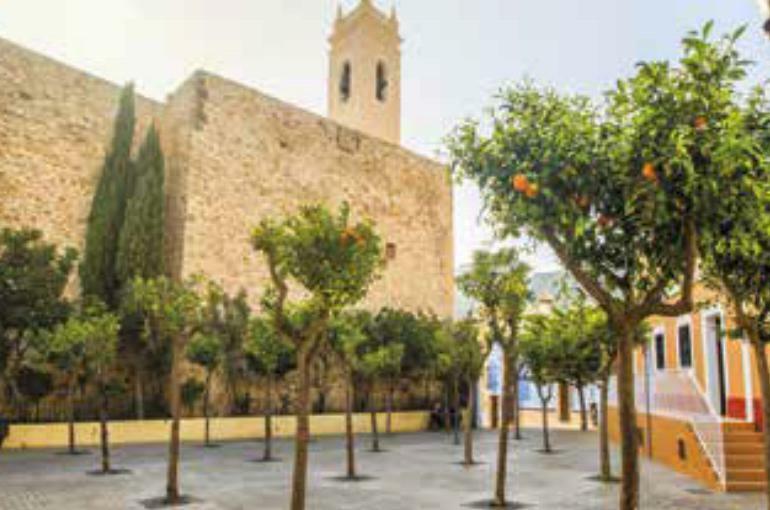 Along the pedestrianised sea-front promenade there are numerous cafes, bars and restaurants whilst close by are the remains of a Roman villa. 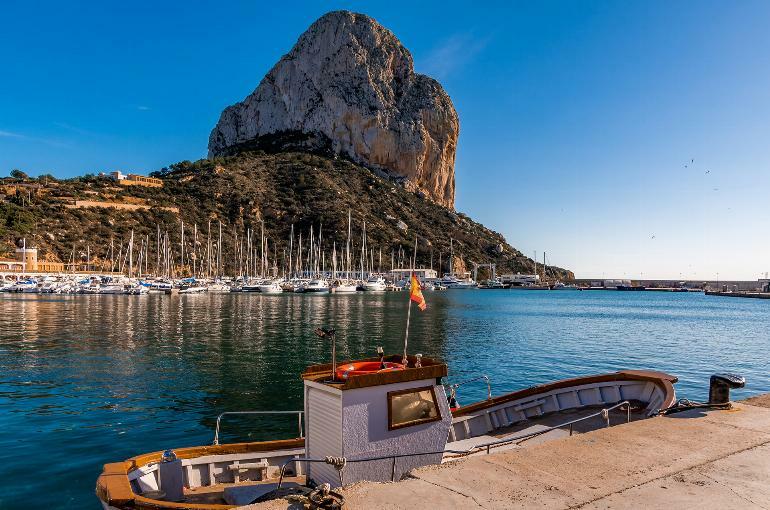 There’s also an attractive modern marina which sits alongside the old fishing port and, from here, you can take boat trips around the Ifach Rock and southwards down the coast. 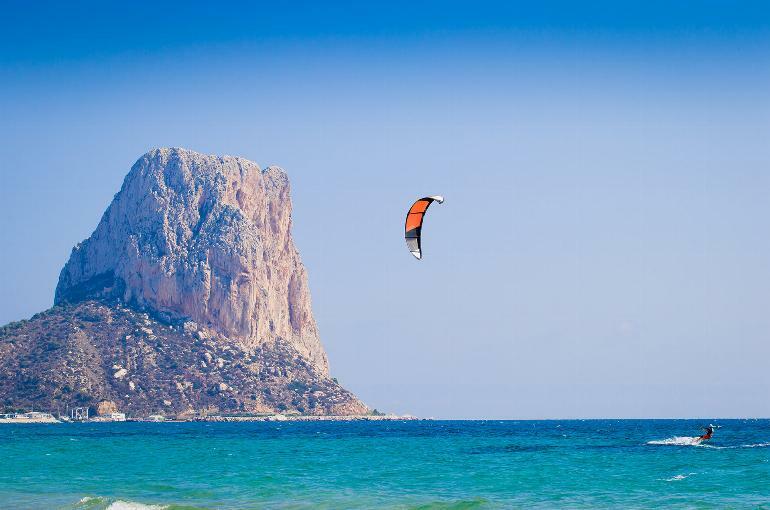 For the more adventurous there’s windsurfing and waterskiing and a narrow gauge railway which runs from Alicante to Denia via Calpe. 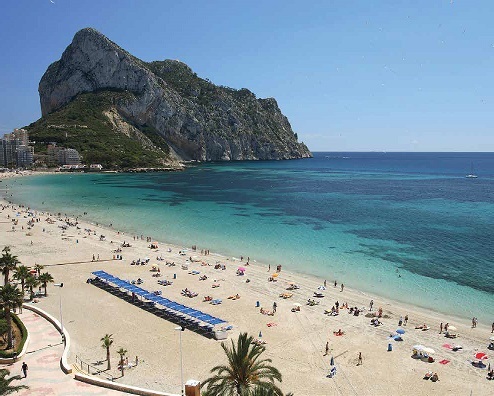 The excellent Roca Esmeralda enjoys a superb sea-front location and is just a few minutes from the Levante beach. 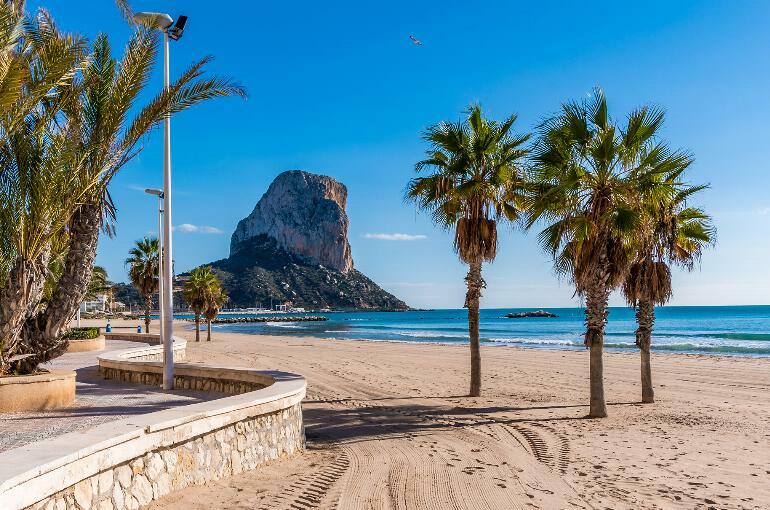 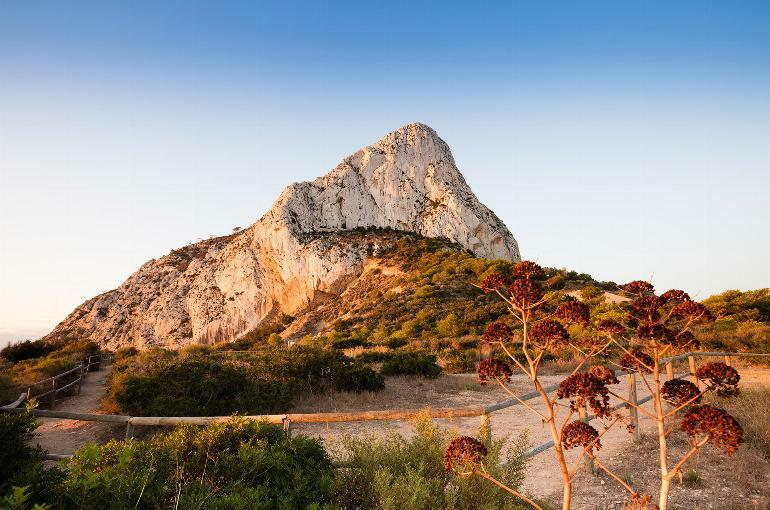 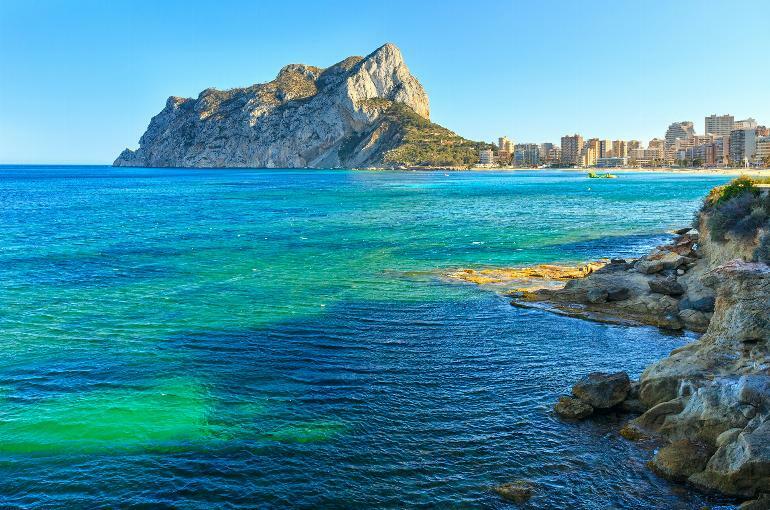 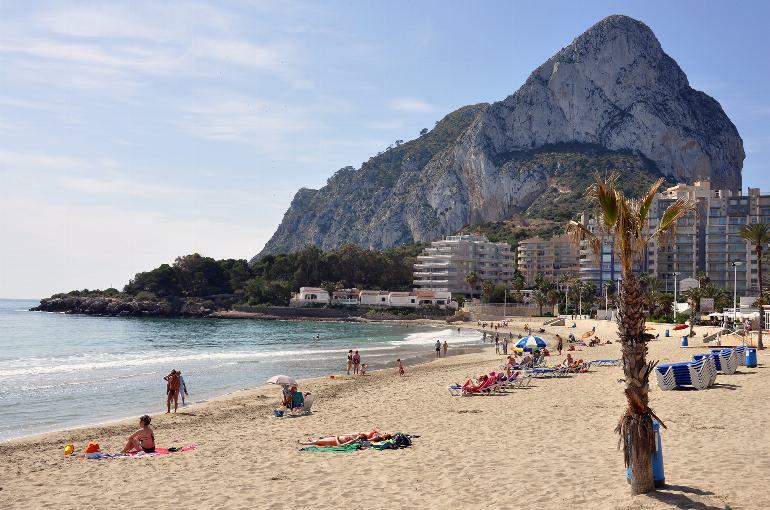 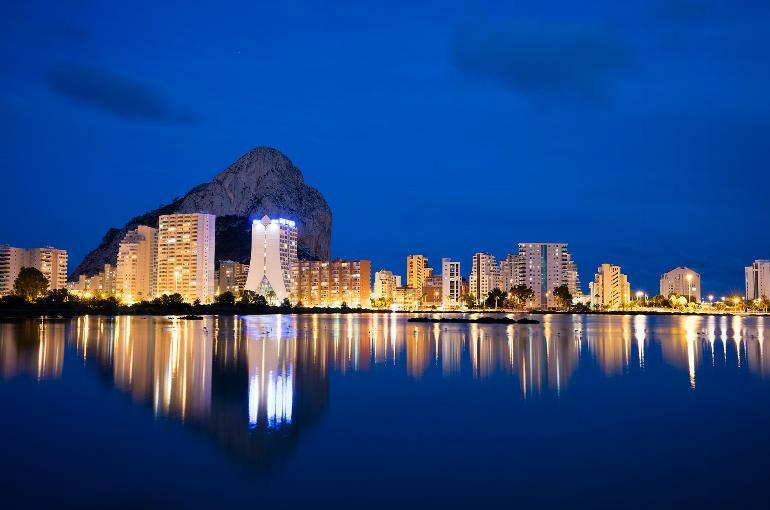 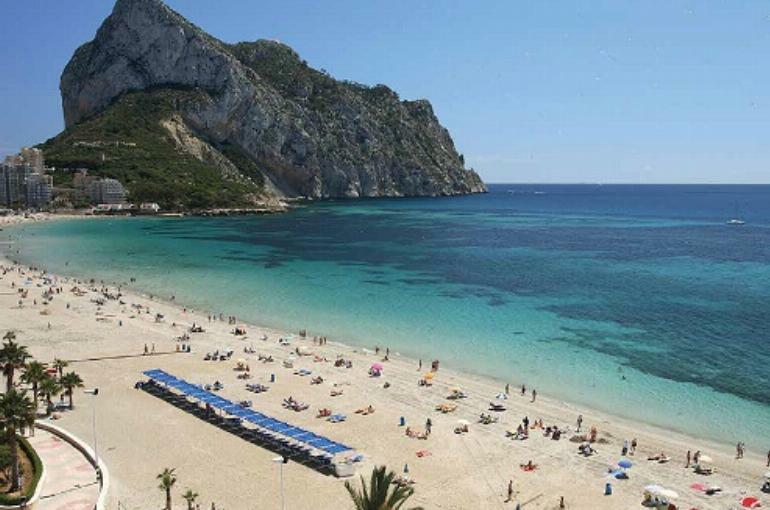 It's also just a stroll along the seafront promenade to Calpe’s iconic Rock of Ifach whilst the resort centre is easily reached from the hotel as are Calpe’s excellent facilities and the attractive marina and nautical club. 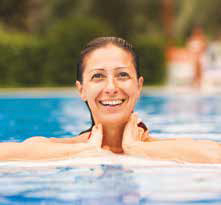 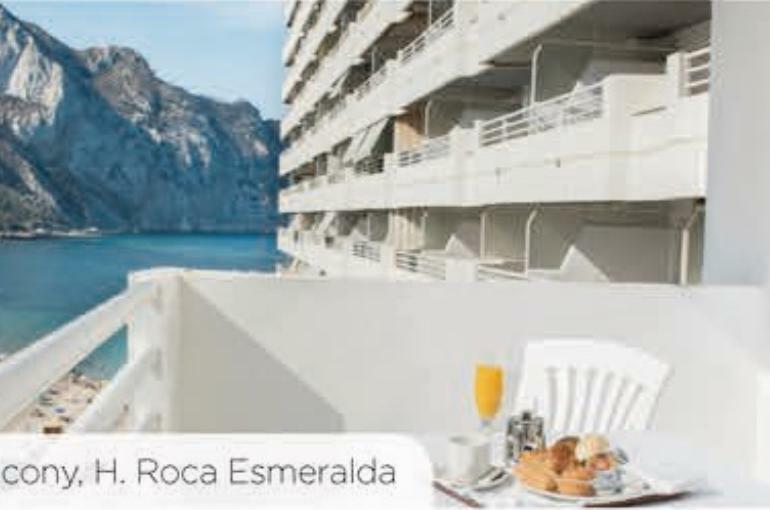 The Roca Esmeralda boasts a wide array of amenities including 3 swimming pools (one heated), spacious sun terraces with sunbeds and parasols, an activities & entertainment programme, spa (payable locally), bar, restaurant, lounge and complimentary wifi in public areas. 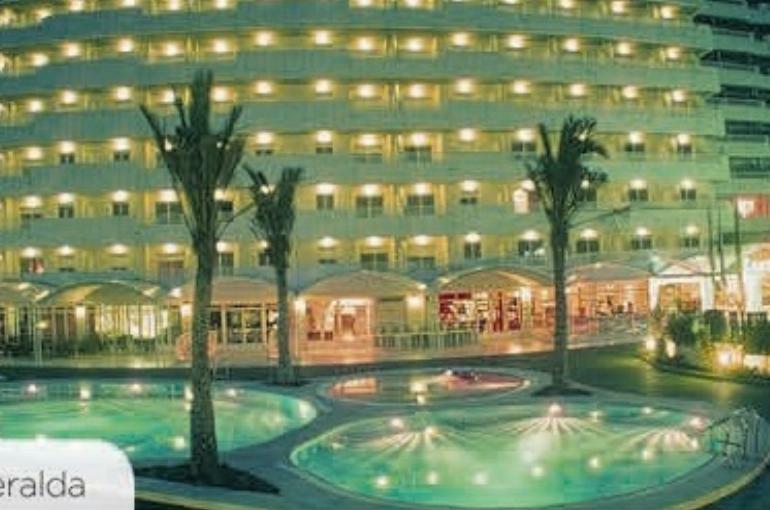 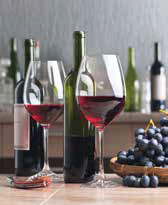 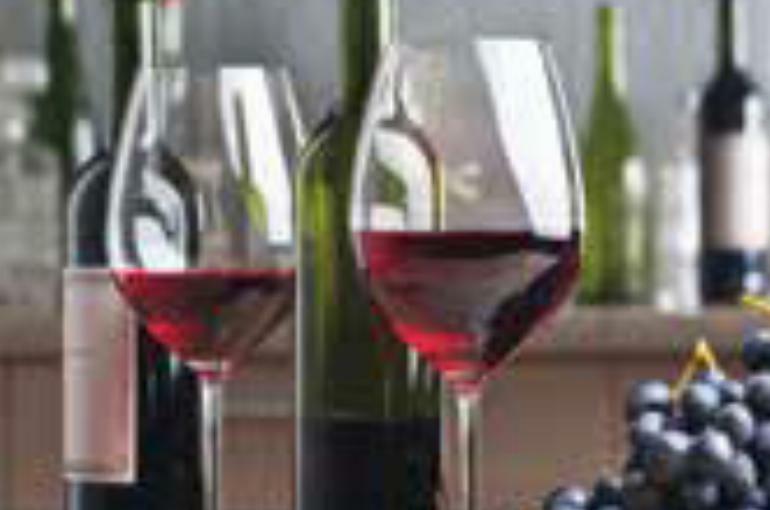 All the hotel’s comfortable, air-conditioned bedrooms have a TV with satellite channels, minifridge, phone, bath/sh/wc with hairdryer and all have a balcony or terrace.